part of the inspiration for my upcoming shop update has been collections and collected items. 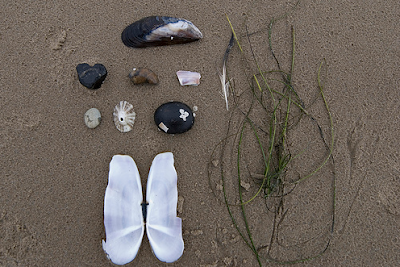 the past few times that I have gone on a walk, I’ve gathered up a few items that caught my eye. I arrange them at the end of the walk in an artful way and snap a picture. then instead of picking up my collected items and stuffing them back into a bag, I leave them there. I hope that someone walking down the sidewalk, or beach, or dirt path, will come along my collection and smile, because as it made my day collecting each little thing, hopefully it will make theirs as well. to see more of my collections and collected items, click here. and stay tuned for shop update news in the next weeks. Such an inspired idea, love it. Your collections are so beautifully arranged! I love them. I’d squee if I were to find one of your lovely collections on the street. heart heart!